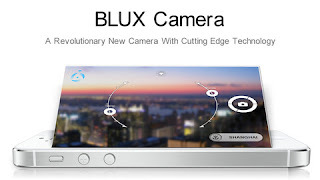 Blux Camera (iPhone) - Intelligent Photographic Assistant ~ Android Forever! Developer Quote: "A revolution in camera app design, Blux Camera with P.E.A.R. technology is truly the world’s first intelligent camera!" It's one thing to apply filters and various effects to photos after you've taken them. It's quite another to be able to apply them as you're taking them. And still another to have an intelligent piece of software help you apply them effectively to produce stunning photos. That's what this app does in spades, for very little coin! Developed by Blux Touch specifically for Blux Camera, this innovative technology stands for Photographic Environment Analysis and Recommendation. 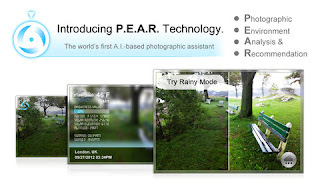 P.E.A.R technology includes a photographic assistant to analyze your environment and advise you every step of the way towards absolutely stunning photos. Randomly combines filters and modes for some really unique effects. 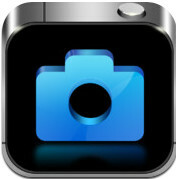 Easiest way to capture visually stunning photographs. Just tap your way to amazing. Super sleek 4-direction swipe interface with smooth touch controls and completely customizable user experience. Blux Camera takes full advantage of your iPhone’s HD retina display by giving you the power to see your photos in all their brilliance as you create and alter them in real-time. 14 extraordinary filters named after world cities, custom made by photographers inspired by their travels around globe. Click the icon below to download Blux Camera from the iTunes App Store!